At Marasleio primary school, a child recites a prayer every morning through a megaphone, which can be heard over the wall at the British School at Athens next door. Four tiny 6th Century BC votives; a fish, a horse, a mouse, and a shepherd; sit in the BSA's museum. 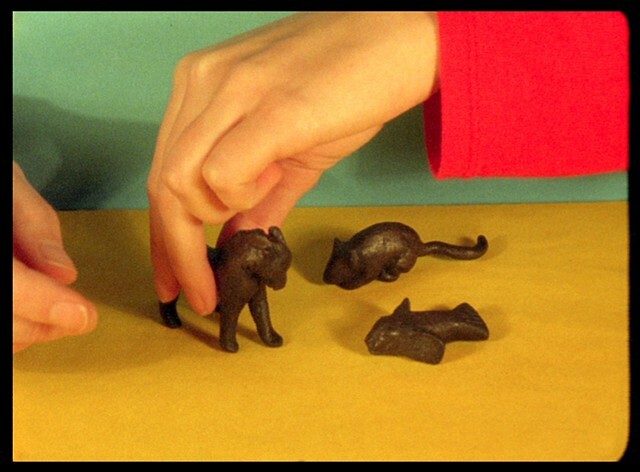 The bronze figurines are animated against a brightly coloured backdrop as if they are contemporary plasticine toys.